When the woman tells people she is not far from 90, they show genuine surprise. She has not yet let her hair turn white and she speaks with a well-earned wit. She also takes care of most of her needs by herself, getting dressed on her own, taking the right amount of medications as needed and making appointments that she gets to herself by using public transportation. She recently enrolled in a college class after deciding she wants to learn Italian. Each of these details matters, because it speaks not only to her personality but also to her capabilities. Despite all that, she was deemed an “incapacitated individual” — unable to make choices for herself. But that changed this month. The octogenarian is the first senior citizen in the District to convince a court to terminate a guardianship placed on her in favor of “supported decision-making.” She and her attorneys successfully argued that with help from people in her life, she could make her own decisions and did not need a court-appointed guardian to do that for her. Guardianship is often associated with people who develop or are born with intellectual disabilities. But this case shows why it should matter to everyone. As we age, and the lucky among us will, we all risk losing what we value most: the ability to choose how we live. Putting legal protections in place will ensure that we have to give that up only when it is absolutely necessary. “I had to fight against everybody,” Dolores replied. In 2015, Dolores was facing possible eviction from a subsidized senior building after falling behind on her rent, according to court documents. Her landlord agreed to work out a payment plan if she was assigned a guardian to help her with her finances, and so she agreed to one. But once she regained financial stability, she asked her guardian to file a letter with the court saying she no longer needed him. When she realized he failed to do that, she went to the court on her own and wrote a complaint. She also called AARP, and the organization directed her to Quality Trust. Years earlier, Quality Trust had handled a case in which the stakes also involved an individual’s independence. A 29-year-old woman with Down syndrome named Margaret “Jenny” Hatch had fought in a Virginia court against a guardianship request by her parents. They wanted her to remain in a group home, supervised and protected. She wanted to move in with friends and continue working at a thrift shop they owned. Dolores didn’t know it, but she was swept into that avalanche. Her case was handled through the Jenny Hatch Justice Project, which is run through Quality Trust and funded by the DC Bar Foundation to assist low-income District residents. For Dolores, the court’s decision has simply meant she can now do what she has always done: take care of herself. When she was 5 years old and growing up in South America, she said her parents used to put her on a train with her brothers, who were 4 and 6, and told her to watch them until they arrived at their grandparent’s house three hours away. Later, when she moved to the United States, she worked for the State Department and then handled bilingual translations for several government agencies, including the Library of Congress and the Labor Department. Dolores recognizes that she is not able to do everything alone now. But she said that for every problem she encounters, she knows whom to call. She has a person who helps her when she has health insurance issues and one who helps when she has medical questions. Recently, after someone stole her wallet, she knew exactly who could help her get a new Metro card. Still, she said, she worries about the future, about whether one day she will be told that she can no longer live alone in her apartment. She knows all too well what many of us, thankfully, have not yet had to learn — the suddenness with which life can change. The latest: Both Mr. Skelos’s and Mr. Silver’s convictions were overturnedin 2017, by appellate panels that cited a Supreme Court decision that narrowed the legal definition of corruption. Sometimes when mothers or fathers lose custody, and were the primary caretaker, they may be an immigrant with a green card who is no longer employable. However, these persons are not to become public charges, but their sponsor must pay them 125% of the poverty level annually to ensure they do not become public charges. After Plaintiff received a one-year extension from USCIS, her status was set to expire on May 25, 2014. But upon Plaintiff’s petition, USCIS adjusted Plaintiff’s immigration status to that of lawful permanent resident on December 13, 2013. Because Plaintiff’s status adjustment was not based upon Defendant’s Form I-864, her status adjustment terminated Defendant’s obligation to support Plaintiff. Assets do not amount to income, and a judgment, even a monetary one, is not necessarily an asset for purposes of income. [. . .] Notably, plaintiff-husband listed $150, 000.00 under a heading titled “Assets of the principal sponsored immigrant” on his Form I-864A. This fact had no bearing or impact on the government’s requirement that contracts of support were necessary for [the plaintiff-beneficiary] to become a permanent resident, and nor should a judgment against defendant-parents in the amount of $67, 620. Finally, the Dohhane Court correctly concluded that federal income tax refunds paid to the Beneficiary do not qualify as income. Since “[a] tax refund is merely the return of the recipient’s money,” it would be unfair to count it twice, “once when it is received and a second time when it is refunded.” Similarly, in Villars v. Villars, the Supreme Court of Alaska held that an Earned Income Tax Credit does not constitute income for purposes of offsetting I-864 support obligations. In consideration for allowing Defendant’s immigrant wife to seek an adjustment of her status to a legal permanent resident, Defendant pledged to the U.S. Government, as the sponsor, that he will ensure his sponsored immigrant wife is provided for to maintain her income, at a minimum, of 125 percent of the Federal Poverty Guidelines. Defendant voluntarily, knowingly and willingly signed the Form I-864. Defendant therefore cannot absolve himself of his contractual obligation with the U.S. Government by Plaintiff purportedly waiving any right to alimony or support via the ante-nuptial agreement. Id. (“[W]e can’t see much benefit to imposing a duty to mitigate on a sponsored immigrant.”). Younis v. Farooqi, 597 F. Supp. 2d 552, 555 (D. Md. Feb. 10, 2009) (“child support is a financial obligation to one’s non-custodial child, not a monetary benefit to the other parent”). 336 P.3d 701, 712 (Ala. 2014). See also Toure-Davis v. Davis, No. WGC-13-916 (D. Md. March 28, 2014) (memo. op.) (“It is not readily apparent to the court whether Defendant provided financial support during Plaintiff’s absence from the United States between the summer of 2009 and December 14, 2010. The parties should discuss whether Plaintiff is or is not entitled to financial support during this period.”). Id. (“If Congress intended to allow defendants to recover attorney’s fees pursuant to § 1183a(c), either under a dual standard or an evenhanded approach, this Court would have expected it to include a prevailing party provision”). From FB: 13 year old charged with juvenile deliquency over recording the school principal! While this article gets a number of things wrong (juveniles can only be charged with juvenile deliquency NOT with any actual crime), this article does show several issues 1) no one really understands the Illinois Eavesdropping Act of 2014; 2) Adults in charge of children who don’t want to be held accountable may get an overzealous prosecutor to use it to quell 1st Amendment rights of children in the US and 3) it’s a near impossible battle to charge anyone with using a cell phone to record an event, they’re so prevalent, we may as just forget that one. But, if the principal didn’t want to be recorded, he should have just walked away and emailed the student and the student’s parents. In reality, the principal is a public servant and as such, he should expect to be recorded. Most principals get paid handsomely for a 9 to 5 or 8 or 4 job, so I don’t have much sympathy. Illinois’ eavesdropping law is one of the nation’s most severe, but leaves ample room for ambiguity. Paul Boron is 13 years old. And he’s facing a felony eavesdropping charge that could change the course of the rest of his life. His story stands as another chapter of controversy surrounding an eavesdropping law some experts have criticized as ripe for abuse and misapplication. Boron said he argued with Conrad and Short for approximately 10 minutes in the reception area of the school secretary’s office, with the door open to the hallway. When Boron told Conrad and Short he was recording, Conrad allegedly told Boron he was committing a felony and promptly ended the conversation. In his petition to bring the charge, Kankakee County Assistant State’s Attorney Mark Laws wrote that Boron on Feb. 16 “used a cellphone to surreptitiously record a private conversation between the minor and school officials without consent of all parties.” Members of the Manteno Community Unit School District No. 5 board, Conrad and Short have not responded to requests for comment on the incident. 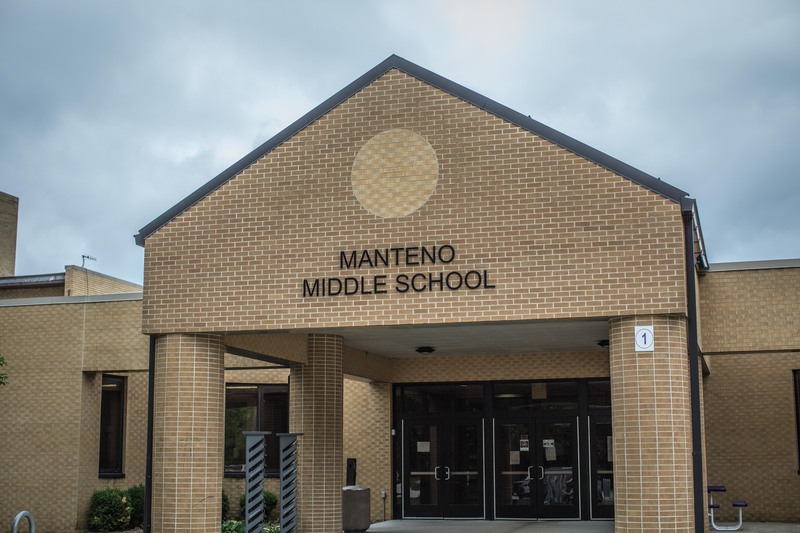 “We cannot comment on a pending matter, and we are not authorized to release confidential student information to the press,” district Superintendent Lisa Harrod wrote in an email. 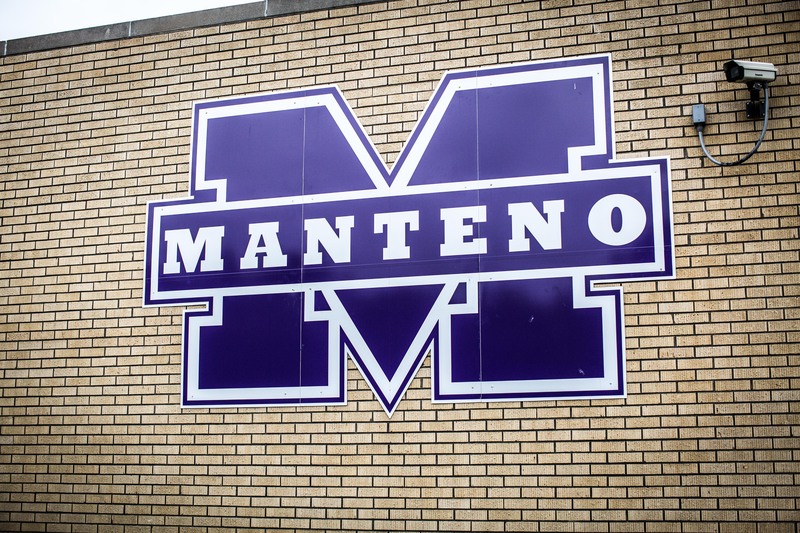 The Manteno district handbook outlines that students are not allowed to record interactions with other students at school. It also notes that a video monitoring system may be in use in public areas of school buildings. But it does not detail when it is appropriate for students to record teachers or administrators. Illinois’ eavesdropping law is similarly gray on the matter, which has led to a number of contentious legal battles and attempts at reform in recent years. For years, Illinois has been home to one of the nation’s most severe and controversial eavesdropping laws. Christopher Drew, an artist arrested for selling artwork on a Chicago sidewalk in 2009, was charged with a felony for recording the incident. In 2010, Bridgeport resident Michael Allison was charged with a felony for recording his own court hearing after the court did not provide a court reporter. The same year, Chicagoan Tiawanda Moore was charged with a felony for recording conversations with Chicago Police Department investigators regarding her sexual misconduct complaint against an officer. But during lame-duck legislative session in December 2014, the Illinois General Assembly passed and Gov. Pat Quinn signed a new eavesdropping law. In the wake of the Supreme Court ruling, lawmakers included changes aimed at allowing residents to record interactions with police, for example, but kept intact the “all-party consent” provisions and introduced a difficult-to-gauge standard for when a person must get consent for recording. One of the eavesdropping law’s sponsors, former state Rep. Elaine Nekritz, responded to criticisms of the law’s clarity with an especially vague remark. How does one tell when there is a reasonable expectation of privacy when recording police officers, for example? “We’ll know it when we see it,” she told the Chicago Reader. That’s not likely to serve as any comfort to a 13-year-old facing criminal charges. 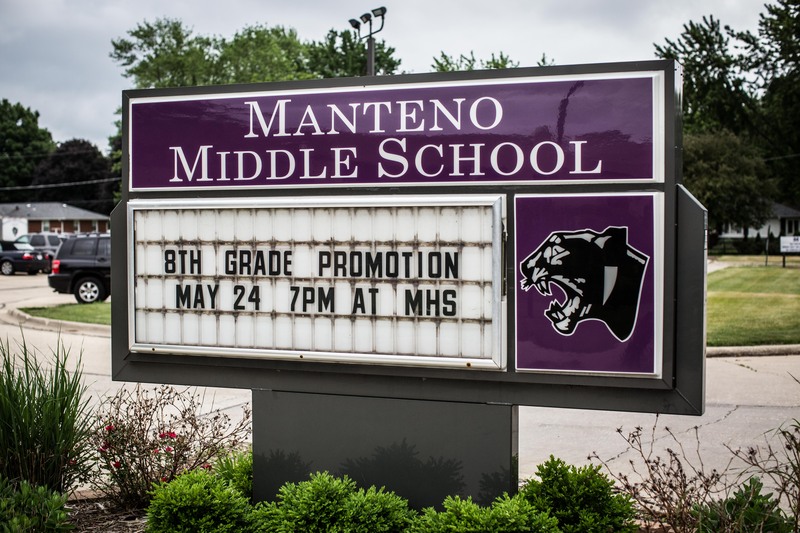 “In a public school setting, what kind of reasonable expectation of privacy can there be for a principal interacting with the public?” asked Wayne Giampietro, former president of the Illinois-based First Amendment Lawyers Association. Quincy lawyer Saleem Mamdani, who prepared a presentation for an Illinois State Bar Association seminar regarding Illinois’ eavesdropping law, also expressed disbelief. Mamdani believes Illinois’ eavesdropping law could be ripe for challenge in the courts, especially given the ubiquity of recording devices on smartphones and devices such as Amazon Alexa and Google Home. Beyond arguments about expectations of privacy, a sexual misconduct scandal that recently came to light in Chicago shows why lawmakers might seek to empower students to record interactions with the adults who run their schools. For Terri Miller, president of the nonprofit Stop Educator Sexual Abuse, Misconduct and Exploitation, students’ ability to record interactions with authority figures can be crucial in exposing wrongdoing. Indeed, Boron’s eavesdropping charge comes amid intense criticism of administrators in the state’s largest school district for their handling of misconduct. A June investigation by the Chicago Tribune revealed gross shortcomings in Chicago Public Schools’ handling of sexual abuse allegations from students across the city. Chicago Board of Education President Frank Clark is moving to transfer an investigation into the abuse allegations to the CPS inspector general’s office from the city law department, which has been criticized for harboring conflicts of interest as it’s also tasked with defending the district should an abused student file a lawsuit. Boron isn’t quite sure what he wants to be when he grows up. He’s interested in serving in the military, but his vision impairment limits his opportunities there. And if he’s exposed to the juvenile justice system his opportunities could narrow further. Given the zeal with which Illinois prosecutors have enforced the state’s eavesdropping law, reform from the Statehouse may be Boron’s best hope. Obviously when Boron grows up he needs to be a lawyer. If you get a chance, fax or email the principal and tell him he’s wrong and to drop the charges. What he did was utterly shameful. In addition to upholding the right of parents to direct the upbringing and the education of their children, Piercealso asserts the parents’ fundamental right to keep their children free from government standardization. The Supreme Court uses strong language in asserting that children are not “the mere creature of the State.” The holding in Pierce, therefore, preserves diversity of process of education by forbidding the State to standardize the education of children through forcing them to only accept instruction from public schools. The parents’ right to instruct their children clearly takes precedence over the state’s regulatory interest unless the public safety is endangered. Similarly, in Prince v. Massachusetts,12 the Supreme Court admitted the high responsibility and right of parents to control the upbringing of their children against that of the State. Consequently, it is clear the constitutional right of a parent to direct the upbringing and education of his child is firmly entrenched in the U.S. Supreme Court case history. Furthermore, a higher standard of review applies to fundamental rights such as parental liberty than to other rights. When confronted with a conflict between parents’ rights and state regulation, the court must apply the “compelling interest test.” Under this test, the state must prove that its infringement on the parents’ liberty is essential to fulfill a compelling interest and is the least restrictive means of fulfilling this state interest. Simply proving the regulation is reasonable is not sufficient. Below are excerpts from over a dozen United States Supreme Court cases where, primarily in dicta, the Court has declared parental rights to be fundamental rights which require a higher standard of review (i.e. the “compelling interest test”). Although the Maher decision unquestionably recognizes parents’ rights as fundamental rights, the Court has clearly indicated that private schools do not have a fundamental right to state aid, nor must a state satisfy the compelling interest test if it chooses not to give private schools state aid. The Parental Rights and Responsibilities Act simply reaffirms the right of parents to choose private education as fundamental, but it does not make the right to receive public funds a fundamental right. The PRRA, therefore, does not in any way promote or strengthen the concept of educational vouchers. 4. Parham v. J.R., 442 US 584, 602-606 (1979). Our jurisprudence historically has reflected Western civilization concepts of the family as a unit with broad parental authority over minor children. Our cases have consistently followed that course; our constitutional system long ago rejected any notion that a child is “the mere creature of the State” and, on the contrary, asserted that parents generally “have the right, coupled with the high duty, to recognize and prepare [their children] for additional obligations.” Pierce v. Society of Sisters, 268 U.S. 510, 535 (1925) … [other citations omitted] . . . The law’s concept of the family rests on a presumption that parents possess what a child lacks in maturity, experience, and capacity for judgment required for making life’s difficult decisions. More important, historically it has been recognized that natural bonds of affection lead parents to act in the best interests of their children. 1 W. Blackstone, Commentaries 447; 2 J. Kent, Commentaries on American Law 190. Nonetheless, we have recognized that a state is not without constitutional control over parental discretion in dealing with children when their physical or mental health is jeopardized (See Wisconsin v. Yoder; Prince v. Massachusetts). Moreover, the Court recently declared unconstitutional a state statute that granted parents an absolute veto over a minor child’s decisions to have an abortion, Planned Parenthood of Central Missouri v. Danforth, 428 US 52 (1976), Appellees urged that these precedents limiting the traditional rights of parents, if viewed in the context of a liberty interest of the child and the likelihood of parental abuse, require us to hold that parent’s decision to have a child admitted to a mental hospital must be subjected to an exacting constitutional scrutiny,including a formal, adversary, pre-admission hearing. Therefore, it is clear that the Court is recognizing parents as having the right to make judgments concerning their children who are not able to make sound decisions, includingtheir need for medical care. A parent’s authority to decide what is best for the child in the areas of medical treatment cannot be diminished simply because a child disagrees. A parent’s right must be protected and not simply transferred to some state agency. This case involved the Appellate Division of the New York Supreme Court affirming the application of the preponderance of the evidence standard as proper and constitutional in ruling that the parent’s rights are permanently terminated. The U.S. Supreme Court, however, vacated the lower Court decision, holding that due process as required under the 14th Amendment in this case required proof by clear and convincing evidence rather than merely a preponderance of the evidence. In Lassiter [Lassiter v. Department of Social Services, 452 US 18, 37 (1981)], it was “not disputed that state intervention to terminate the relationship between a parent and a child must be accomplished by procedures meeting the requisites of the Due Process Clause”. . . The absence of dispute reflected this Court’s historical recognition that freedom of personal choice in matters of family life is a fundamental liberty interest protected by the 14th Amendment … Pierce v. Society of Sisters … Meyer v. Nebraska. This case includes, in a long list of protected liberties and fundamental rights, the parental rights guaranteed under Pierce and Meyer. The Court indicated a compelling interest test must be applied. By citing Pierce, the Court included parental liberty in that protected sphere. In this case, a Californian civil rights statute was held not to violate the First Amendment by requiring an all male non-profit club to admit women to membership. The Court concluded that parents’ rights in child rearing and education are included as fundamental elements of liberty protected by the Bill of Rights. Instead of merely showing that a regulation conflicting with parents’ rights is reasonable, the state must, therefore, reach the higher standard of the “compelling interest test,” which requires the state to prove its regulation to be the least restrictive means. In addition, constitutional interpretation has consistently recognized that the parents’ claim to authority in their own household to direct the rearing of their children is basic in the structure of our society. Ginsberg v. New York, 390 US 629 (1968) … We have recognized on numerous occasions that the relationship between the parent and the child is Constitutionally protected (Wisconsin v. Yoder, Stanley v. Illinois, Meyer v. Nebraska) … “It is cardinal with us that the custody, care, and nurture of the child reside first in the parents, whose primary function and freedom includes preparation for obligations the state can neither supply, nor hinder.” [Quoting Prince v. Massachusetts, 321 US 158, 166, (1944)]. See also Parham v. J.R.; Pierce v. Society of Sisters … We have recognized that parents have an important “guiding role” to play in the upbringing of their children, Bellotti II, 443 US 633-639 … which presumptively includes counseling them on important decisions. This Court clearly upholds the parent’s right to know in the area of minor children making medical decisions. Traditionally at common law, and still today, unemancipated minors lack some of the most fundamental rights of self-determination—including even the right of liberty in its narrow sense, i.e., the right to come and go at will. They are subject, even as to their physical freedom, to the control of their parents or guardians. See Am Jur 2d, Parent and Child § 10 (1987). This case clearly upholds parental rights. In essence, this decision means that the government may not infringe parents’ right to direct the education and upbringing of their children unless it can show that it is using the least restrictive means to achieve a compelling governmental interest. Copyright 2003 Home School Legal Defense Association. Reprint permission granted. 1. 262 U.S. 390 (1923). 3. Id., at 401. Also see Bartles v. Iowa, 262 U.S. 404 (1923) where the Court reached a similar conclusion. 4. Meyer, 262 U.S. 390 at 400. 8. Pierce, 268 U.S. 510 at 535. 9. Farrington v. Tokushige, 273 U.S. 284 (1927) at 298. 11. Farrington v. Tokushige, (9 cir.) 11 F.2d 710 at 713 (1926), quoting Harlan, J., in Berea College v. Kentucky 211 U.S. 45, 29 S. Ct. 33, 53 L. Ed. 81. 12. Prince v. Massachussetts, 321 U.S. 158 (1944). 14. Griswold v. Connecticut, 381 U.S. 479, (1965) at 486. 16. Yoder, 406 U.S. 205 at 233. 17. Ibid at 232. Burger further admonishes, “and when the interests of parenthood are combined with a free exercise claim of the nature revealed by this record, more than merely a ‘reasonable relation to some purpose within the competency of the State’ is required to sustain the validity of the State’s requirement under the First Amendment.” (Yoder, at 233). 20. Id., 881, ftn. 1.